Sue de Beer, Miles Coolidge, Sam Durant, Rodney Graham, Henrik Håkansson, William Hunt, Knowles Eddy Knowles, Simon Dybbroe Møller, Jonathan Monk, Filipa Raposo, Bruce Nauman, Kay Rosen, Mungo Thomson, Christopher Williams. 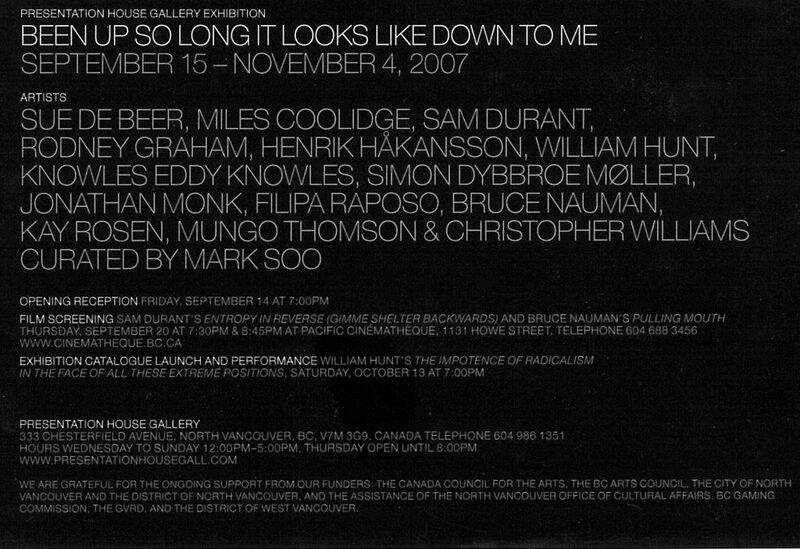 Presentation House Gallery is pleased to announce Been Up So Long It Looks Like Down to Me, a group exhibition featuring fourteen internationally recognized artists who examine the concept of inversion with works of art that are literally and figuratively upside-down, turned over, or skewed off-axis. Each artist questions conventions of alignment and orientation, challenging the assumptions with which we both perceive and represent the world. The exhibition will feature 22 works, including the North American premiere of British-based artist William Hunt. 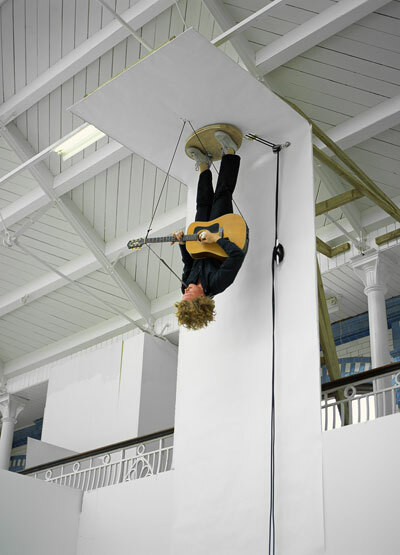 Hunt is well known for musical performances enacted under conditions of extreme physical duress, and in The Impotence of Radicalism in the Face of All These Extreme Positions (2005) will sing and play guitar while suspended upside-down from the gallery ceiling. In addition, and in conjunction with Vancouver’s Pacific Cinematheque, Presentation House Gallery will screen projected works by American artists Sam Durant and Bruce Nauman in a special one-night cinema event. Durant’s dual-screen video installation Entropy in Reverse (Gimme Shelter Backwards) (1999) imagines alternate histories of the fractious events of late-sixties America, while Nauman’s Pulling Mouth (1969) presents the artist’s absurd, aggressive actions against his own body. 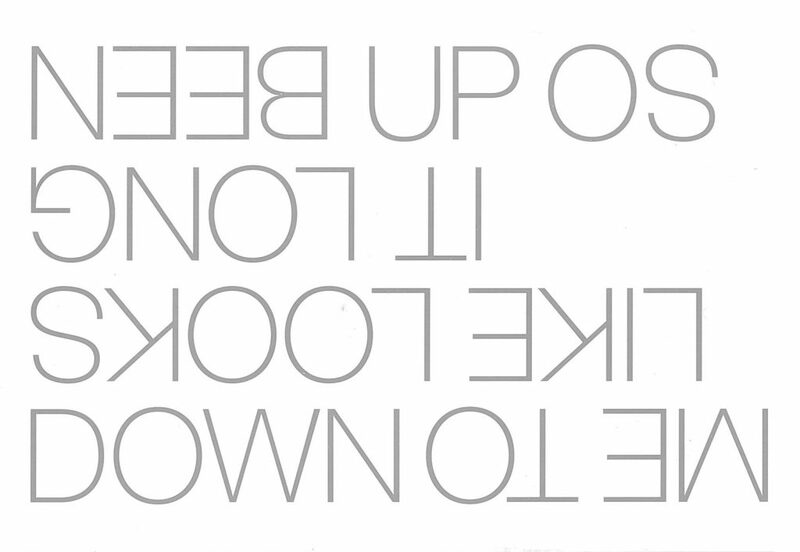 In exploring the multiple perspectives between wrong-side-up and right-side-down, Been Up So Long It Looks Like Down to Me investigates the strategy of inversion as a complex framework for new orders of visual, sensory and cognitive experiences, while drawing relationships to how these experiences reshape our recognition of established aesthetic, social, and cultural formations. A catalogue showcasing both the work from this ambitious exhibition, along with additional related historical and contemporary art and essays by curator Mark Soo, accompanies the exhibition. Taking strategies of inversion in art as its subject, this exhibition catalogue showcases both the work from this ambitious exhibition, additional ephemera as well as related historical and contemporary art. Exhibition artists: Sue de Beer, Miles Coolidge, Sam Durant, Rodney Graham, William Hunt, Jonathan Monk, Kay Rosen, Mungo Thomson, Christopher Williams. 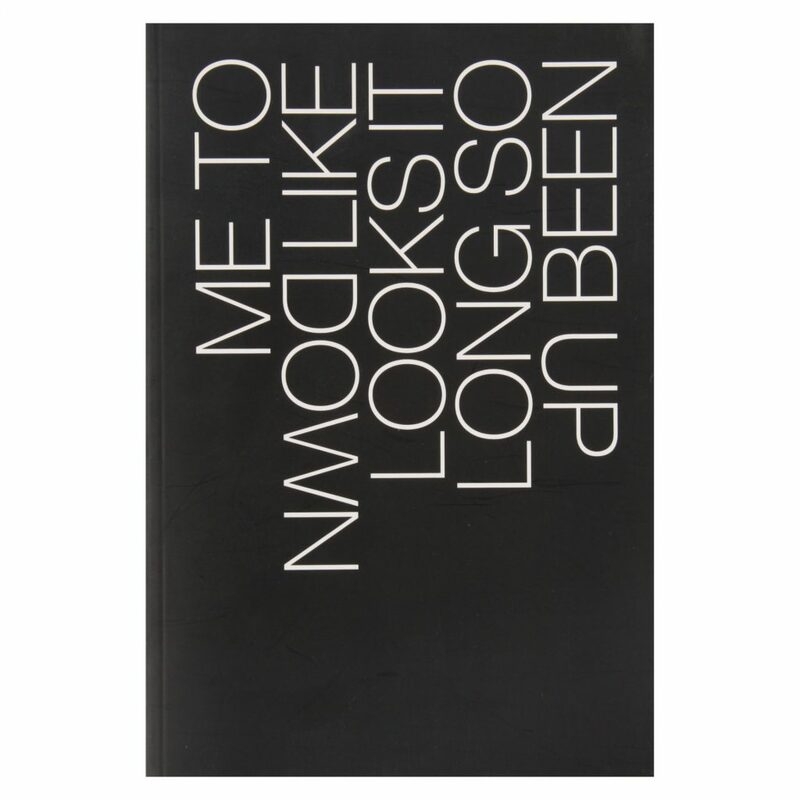 The publication includes a list of exhibition works. Guest curated by Mark Soo. Designer: Derek Barnett, Information Office.